When I reviewed Confessions of A Call Center Gal last year, I mentioned that it would have been nice to get updates on Karsynn, Truong and the rest of the crew. Well Lisa Lim did me one better and wrote a sequel! Now while I encourage you to read Confessions first, please know that She's the Boss can be read as a stand alone book. While Confessions focused mostly on Maddy and her transition to small town Idaho, where she joined her best friend from college, Karsynn, She's the Boss turns the tables and is told from Karsynn's perspective. Still working at the call center with the hilarious Truong, whose antics remind me of an Alec Mapa character, Kars is working her way up the ladder. Unfortunately, she's run into a roadblock by the name of Carter Lockwood. As the new director of Lightning Speed Communications, Carter Lockwood arrives to find a floor full of inappropriately dressed characters who swear like sailors, and Karsynn is the ringleader of this motley crew. Now that there's a new sheriff in town, things are definitely going to change. And boy, do they change. 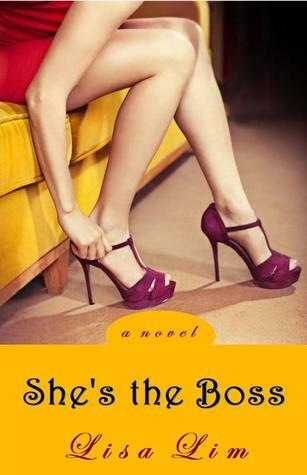 She's the Boss is just as delightful and as quick a read as Confessions of A Call Center Gal. Lim keeps the characters light, even the serious Carter Lockwood. Truong is still as outrageous as ever and proves to be the most entertaining of all the characters. Inge is also along for the ride, though her speaking role is kept to a minimum. With plenty of current pop culture references, it reads as something hot off the presses. I love that the workplace situation touches on such a relevant issue in today's world. And lest you think the book may get heavy in parts, know that there's a yodeling stripper rocking lederhosen that is sure to bring tears of laughter to your eyes.